Join an award winning recognised brand with great marketing support, from Australia's leading gelato ice cream franchise. This is your opportunity to join Australia's most successful, award winning gelato ice cream franchise. 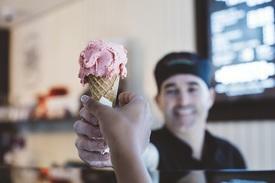 Built on a strong foundation of over 16 years' experience, the well-established and recognised brand is serves fresh, delicious and artisanal gelato ice cream, made from the freshest ingredients. Today, we have more than 44 successfully run stores throughout Australia and we're operating in 7 countries around the world. In 2016, Gelatissimo was awarded the Best Marketing Campaign (QSR Media Detpak Awards) and we bagged 5 awards at the NSW Dairy Awards, taking home Silver across the board. Gelatissimo is offering a limited number of fantastic opportunities to become a part of the largest gelato franchise network in the country and be your own boss. This easy-to-run, turn-key business allows you to choose your preferred location, or they will work with you to select the right location for you, based on perfected criteria from years of research and experience. Why Choose a Gelatissimo Franchise? We are looking for people who are motivated and passionate about running their own business. People who enjoy putting smiles on people's faces from delivering delicious gelato ice cream treats. Someone who wants to work with a company who has proven track record with successful and proven systems. If this sounds like you and you believe that you have what it takes, then Contact Gelatissimo Now, we would love to talk to you. Cafe business in Adelaide ($279,000 Plus SAV) - Best Takeaway Business On The Market. High Profits. Low Rent. Absolute Beach Front. Cafe business in Adelaide ($298000 Plus SAV) - No. 1 Wendy’s In Australia – Northern Suburbs - Enquire Now!